I had to see the endodontist again last night. Thank heavens that job’s done. Here are a few photos I took on my way to the bus stop at Binyanei haUma. This sign at Binyanei HaUma just struck me as funny. 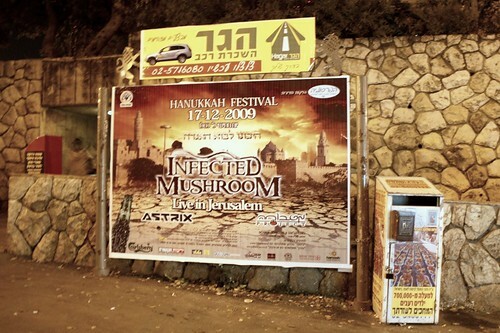 Infected Mushroom is an Israeli trance band. The juxtaposition of the name and the traditional painting of the Old City caught my eye. The locked box on the right is for food (yes —food!) donations for the poor. 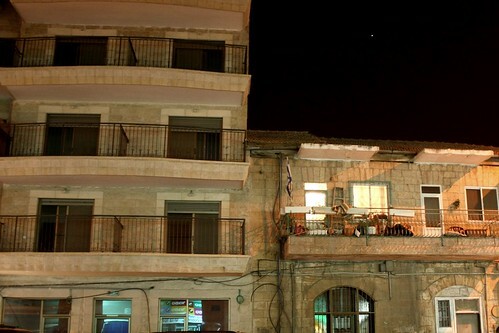 Empty new apartment block beside an old block of flats on Agrippas Street, Jerusalem. 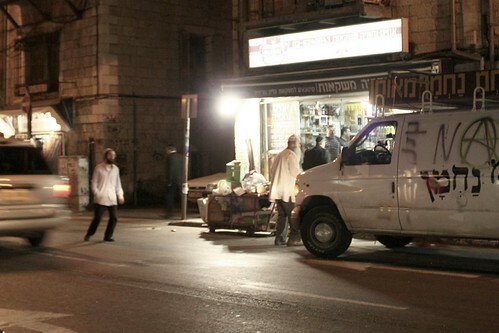 Three Breslaver Hasidim beside their van blaring loud music, parked in front of a liquor store on Agrippas Street. These men are from a subgroup of the Breslovers, colloquially called the Na Nachs from their use of the saying, Na Nach Nachma Nachman Meuman. 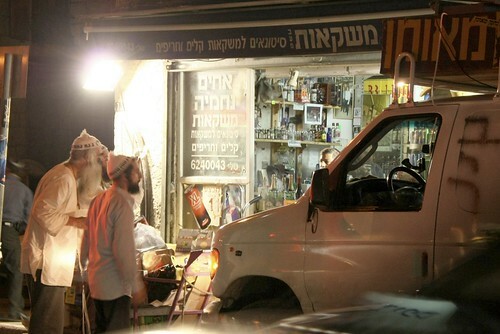 For more information, see Rolling with the Na Nachs, the most high-spirited and newest Hasidic sect (HaAretz, 25/05/2008).